Sparky is an 12 year old Jack Russell Terrier. He can be sensitive boy when you first meet him, but once you get to know him you'll have a friend for life. Sparky can be an independent lad, so he is happy to entertain himself if you need to pop out for a few hours. Sparky would prefer to be the only dog in the home, so he can have his toys and treats to himself! Once Sparky has had a good walk, he is happy to curl up and have sweet dreams. 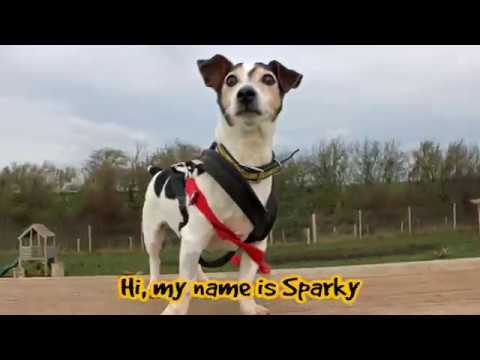 Sparky is a terrier by name, and a terrier by nature, so still enjoys exploring and getting out and about. He would prefer a quiet, adult only home with no visiting children. Sparky can be worried at the vets, so will need a new family who can show him that it's not so scary and he gets lots of treats after a visit! If you're considering a dog today, please consider this older gentleman who will be your friend for life but please contact the training team before travelling to the centre. Thank you for your interest in Sparky, who is based at Darlington. Please note this is not a reservation on this dog. To start the rehoming process you will need to go to a rehoming centre for a quick chat. Please find information below about what to expect during the rehoming process. We hope to see you soon.